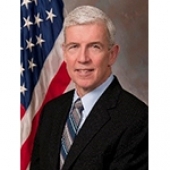 Dr. Bruce Doll RADM USN (ret) is the Assistant Vice President for Technological Research and Innovation, Office of Research at the Uniformed Services University of the Health Sciences (USU) in Bethesda, Maryland. He leads the development and integration of database and biobanking management within the research portfolio, Laboratory Animal Management and the advancement of novel technologies focused upon military requirements. His formal education includes a DDS from SUNY Buffalo, Periodontics specialty certificate from Navy Postgraduate Dental School, PhD from Penn State, and MBA from the Navy Postgraduate School. He is a diplomate of the American Board of Periodontology and has qualified as a LSS Black Belt. During 34 years in the US Navy, he served in leadership positions supporting NATO, US Navy and US Marine Corps, INCONUS and OCONUS. Several times deployed, RADM (ret) Doll completed his service as both first Director, Research, Development and Acquisition Directorate for the DHA in Falls Church, VA and the Deputy Commander, US Army Medical Research and Material Command, Fort Detrick, Maryland overseeing execution of the $1.6B Defense Health Program funded medical research. He has held academic appointments with Carnegie Mellon University, University of Pittsburgh, Oregon Health Sciences University, University of Maryland, Pennsylvania State University and Rutgers University prior to coming to USUHS. He served as the COO for the Rutgers – Cleveland Clinic Consortium for the Armed Forces Institute of Regenerative Medicine. He has served on several scientific boards, published in the area of bone regeneration, co-author on bone regenerative patents and is a former grantee of the NIH and NIST.